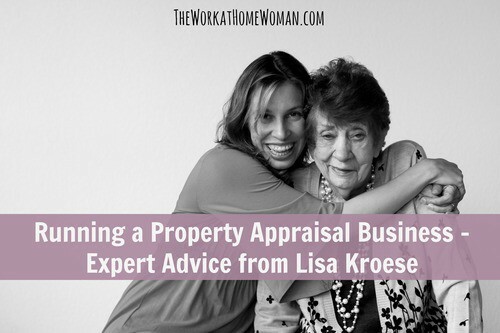 Lisa Kroese is an author and CAGA certified personal property appraiser. She has conducted over 100 estate sales since opening Expert Estates in 2011. Read on to see how this mom's entrepreneurial journey began. Tell us a little bit about yourself and your journey to starting a Property Appraisal Business. I’m a 42-year-old mom and wife with two girls ages 4 and 1. We moved to California from the east coast. I was pregnant with my first daughter, and I was planning to stay at home with her. After a cross-country move to a completely new area where I had no family or friends – when the baby was about four months old, I really needed something else to fill my calendar. I opened Expert Estates and had my first two estate sales booked in no time. My business plan called for holding about one sale per month, which I thought was optimistic since I had no contacts or connections. But in our first year we made 13 sales, and now we often have eight weeks in a row with a sale, sometimes two sales, each weekend. I did keep Easter weekend unbooked so we could all recuperate and spend time with our families. What did you do before launching your appraisal and estate sale and business? One of my first jobs was a regional auction house where I learned how to appraise art and antiques. I also handled contract negotiations and learned a lot about marketing all kinds of estate inventory. I worked as a private personal property appraiser after leaving that position and got the hang of working for myself. And, of course, life takes its twists and turns, and we end up doing things we didn't even plan. For three years I worked in politics after having been offered a job with now Senator Kirsten Gillibrand’s Congressional office when she won her first election in upstate New York. I had been a campaign volunteer for her because I met her at an event and thought she would be an excellent elected official. I learned how to control crowds, answer tough questions and speak in front of large groups of people. Which all comes in handy when I am opening an estate sale with a massive line of excited people waiting to get in. We had relocated, and I had no contacts. I did reach out to the Realtor who helped us buy our house to tell her about my new business. Next, I put together an inexpensive, but a professional-looking website. I remember the owner of my husband’s company was retiring and moving right around when I opened, and I tried to land them as my first clients. They were very kind, but they didn’t hire me. But I started getting calls from families who found me online. When I booked my first consult, I knew it was not going to be a great sale and not in a great area. I told my husband I wasn’t sure I should even go on the consult since I didn’t think it would make money. He said, “Are you serious? You just opened. You have NO clients. Even if you lose money, just go and get this job for some experience.” We laughed. My client had no idea that I had never done a sale, at the consult, I showed up with my business card and my contract. I walked with her through the house, and I focused on describing how I would set up her sale and the traffic flow I would establish. I just painted a picture in her mind of the sale I could give her, and she signed on. People hiring an estate liquidator are looking for someone trustworthy and honest. Those qualities are what I believe land me my jobs. But what makes me truly successful is that I don’t undervalue my services, I keep control of costs, and I never let clients redefine our contract. Most clients are great, but I do sometimes have to be compassionate, but direct about enforcing the agreement we signed. I set my commission rate based on what they told me I would be selling, so as a businesswoman, I need to ensure that what I was promised is what is there. Direct communication saves me when an issue comes up. For example, I had a client recently who told me that I could sell their truck but when we went to pick up the keys, they said that they might sell the truck themselves and didn’t have the title with them. I told them we needed to address that before going forward because the truck was in our contract, being able to sell the truck was a factor in my taking the sale and was factored in the overall commission rate they were given. So they agreed that, of course, we would be selling the truck as per the contract. How are you currently growing Expert Estates? I am blessed to be booked with estate sales for as many weekends as I want each year, and I keep my team busy. That’s because we followed our business plan. We are currently expanding into business to business services so that we can help other estate sale businesses. We opened in 2011 on a very lean budget. The estate sale industry is competitive, but I see a tremendous need for the services we provide. I am now offering my Estate Sale Start-Up Kit with contracts, my business plan, and marketing materials available for digital download online at my website and in our Etsy shop. I also provide consulting and coaching services for people who are starting out, expanding or just in need of help with defining their estate sale brand so they can be more successful. I can be booked for consults on Clarity. There are estate sale franchises available for between $20,000-50,000, but for a very very tiny fraction of that price, I can help people establish their own brand and achieve the same financial success I have had. If I can move across the country and succeed with a busy husband and two small kids at home, I know anyone can do it to. I want to make it simple for them so they can define their goals get on the path to success. 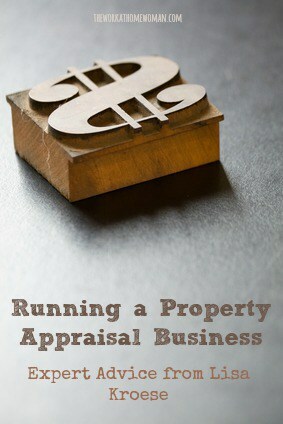 What advice do you have for other women who want to start their own Personal Property Appraisal Business? This is a great industry, and there are many different types of both appraisers and liquidators out there. There can be lots of competition. And often people just see us on sale day and don’t realize how much work is involved in turning a home over for an estate sale. But there are many families in need of our services – whether they are moving, downsizing or dealing with the loss or illness of a loved one. Go to sales in your area and then start to define what will make your services stand out from the competition. Whatever you do, don’t go to work for a competitor and then open a competing business, that’s a common idea that people have but is very frowned upon. Often the liquidators in an area all know one another and even refer jobs to each other. I sometimes am too busy to fit someone into our schedule or the sale maybe a little small – so if you are starting out and are willing to take on little jobs or jobs on a fast turn around, introduce yourself to your competition. The industry can be tough on “newbies” some might give you the cold shoulder, but you might get your first job from an established liquidator who is happy just to have given a referral. I never know what I will uncover in my line of work, each sale is different, and I am always excited about the possibility of finding hidden treasures. I love that. Plus my clients need specific services delivered within a specific time frame – our sales are usually set up within ten days so I can’t afford to miss days. If I have a contract stating your sale will be March 20-23rd, I can’t miss that deadline; I would be in violation of my own contract. Plus my crew does so much work on each job, I know every day they are making it possible to do all that we do for the families we serve – from advertising, to appraising, to staging and running their sale, and then doing the clean out and getting their home ready for the real estate market. I could never get it all done alone. Thinking about all they do for my clients and me keeps me going. As a mom of two girls (and a third on the way), how do you manage all of your personal and business activities? Clients will ask for a lot of us business owners. When I first started, I tended to try to say “Yes, I can do that” all the time no matter the request. But now, if they ask me to do something that isn’t standard in the course of our work – I say, “Yes, we can do that, but it requires an additional staff person for your job. So the cost of it will be X. Would you like us to add that to your contract?” Usually, their answer is no. But if it is yes, I am not stuck pulling my hair out trying to do it all alone, and I am even making extra money for providing additional service. I have had to remember that my husband does come ahead of my clients. So when I wake up and start my day, I think about what things my family needs and wants from me first and then what I need to do for my business instead of trying to squeeze in my family at the end of a busy day. The real estate appraisal industry allows for lots of flexibility because I can book sales around a vacation or visitors. But as a wife and mom, I can’t take it for granted that my husband and kids will not miss me if I am gone for too many hours in a day. I have learned to let my capable team do work that I once thought only I could do. And if my husband wants a vacation day on a weekend that I have a sale, I make sure I do all the advance work that is needed so that my team can run the sale. I let them know to call me if there is an emergency but only if it really is an emergency. And it works! Thanks Lisa for sharing your story!